Feud is the third anthology format series from American Horror Story creator Ryan Murphy. Like his other show American Crime Story, Feud's tales are to be based on true stories, though with few pretentions to being documentary accounts. Series one, Bette And Joan centres on the notorious life-long antipathy between Old Hollywood stars Joan Crawford and Bette Davis. In particular, the blossoming of their mutual dislike into loathing and public recrimination during the making of their sole collaboration Whatever Happened To Baby Jane? (1962). There's a well-established gossip column narrative to all this, that has Crawford and Davis taking brutal pot shots at each other in public for the next 15 years until Crawford's death in 1977. And then Davis just carrying right on for another dozen years, speaking relentlessly ill of the dead until her own passing in 1989. Of course, this presents countless opportunities for campy shade-throwing hilarity, and Murphy does not pass them up. Susan Sarandon as Davis is as harsh as bleach and blunt as a punch in the guts, while Jessica Lange's Crawford deploys a more subtle, self-absorbed, self-pitying form of cruelty, with both interpretations reportedly fairly close to the truth. If this was all that was going on in Feud, well, that would be a certain kind of malicious fun, but as with much of Murphy's work, there are depths here that the glittery surface doesn't even hint at. Early in 2016, Murphy announced that going forward, he had decided that 50% of directorial jobs on his shows would go to "women, people of colour and members of the LGBT community". With four currently active shows, each putting out around a dozen episodes a year, this is not small beer. It extends Murphy's obvious commitment to diversity in casting to production roles, (though it's worth noting that Feud's writing team remains overwhelmingly male). Murphy's take on the making and promotion of Baby Jane is a cautionary tale about the effects of a lack of workplace diversity. Having Lange and Sarandon go at each other like contestants on RuPaul's Drag Race may seem an unlikely vehicle for such a meditation, but one of Murphy's hall-marks is to refuse to separate the sublime from the ridiculous, and it's a remarkably effective trick here. The show suggests that the wedge between Davis and Crawford was cynically exploited and exacerbated by studio boss Jack L. Warner and (more reluctantly) the film's director Robert Aldrich. Partly, the idea dovetailed so neatly with the film's premise - two faded movie stars, locked into a cycle of co-dependence and abuse - that suggesting the truth was similar became an obvious, if ethically questionable promotional gambit. Additionally, Warner was out for revenge against Davis for her bringing the first legal case against the studio contract system which gave performers no power to choose the roles they played. Davis lost that case, but opened the legal floodgates, and within a decade, the system was dead. In the show, Aldrich is horrified when Crawford and Davis briefly put aside their differences in order to unite against him on the set, and fulminates that male actors would never do this. "They don't have to, they're men", his wife informs him. Meanwhile, a Hollywood Deep State of studio management, movie reviewers and academy awards panellists continues to poison the well. And of course, it worked. Baby Jane remains a remarkable film, and the rumours around its production and Crawford and Davis's ongoing public spats ensured its box-office success. Feud's real point is to look at the balance of that ledger, and ask if it was really worth it. There is something tragic about watching a couple of immensely smart and talented women get played by far less impressive figures, even given their own tendencies towards self-destructively raising the stakes. Nonetheless, even though we already know how this story ends, Feud is shaping up to be a hilarious, heartbreaking, and rivetingly nasty piece of work. The Replacement, a glossy BBC three-part drama, is also about a pair of smart and talented women ruining each other's lives, this time with no help from anyone else. Ellen (Morven Christie), a rising star in a small architectural company, helps to recruit her temporary maternity cover. 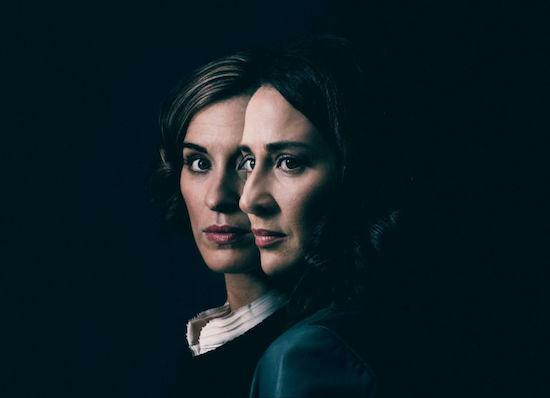 Paula (Vicky McClure) is returning to work after ten years as a stay-at-home mother, and they initially appear to bond during conversations about motherhood. The relationship between the two quickly sours, though, with Ellen increasingly insecure about the speed and malicious intent with which Paula takes over both her professional and then personal life. It's a strong. Hitchcock-like premise, and for the first episode there's a poised ambiguity to the unfolding of events; everybody else thinks Paula is wonderful, and that Ellen is misinterpreting things and losing perspective, while Ellen becomes rapidly convinced something more sinister is afoot. Both readings are equally plausible, and even Ellen realises she may be experiencing a descent into paranoia. The first hour concludes with the apparent suicide of Ellen's boss and closest friend, after having called to say she "finally knows what's been going on". Shortly after, Ellen goes into labour. However, after this powerful first third, the show loses its way a bit. Christie and McClure both turn in fine performances, but there's a strange shift in how they're written and directed. Motherhood seems to immediately transform Ellen into a brilliant amateur detective, and Paula, for no apparent reason becomes a blatant swivel-eyed maniac. That the other characters continue to fail to notice she's completely bonkers, a high-wire act of clever writing up to this point, becomes maddeningly implausible. It does manage to bring things back together a bit with a brilliant twist that I wont divulge here, but it's around this point I started to get a bit uncomfortable with how the show treats mental health issues. Both women are shown to be battling with past trauma, but in both cases, the show takes it as read that sufferers of depression treat other people appallingly, as a matter of routine. Again, it's a fairly Hitchcockian shtick, but for one thing, Alfred was plying his trade in less enlightened times, and for another, without his cranked-up hyperrealism making it clear that This Is Just A Movie, we're left with relatable, realistic characters misrepresenting mental ill-health, in ways I found troubling. By the finale, Paula has gone full-tilt Evil Madwoman, and Ellen has lost her job, family, friends, and marbles. But the truly interesting stuff about how motherhood changes how a person is perceived by others, set up so well in the outset, remains largely unexplored, which seems like a near-miss. It's otherwise a tightly plotted, snappily-paced thriller, with some brilliant narrative and visual tricks up its sleeve, and uniformly great work from its small cast. But there's less to The Replacement than meets the eye, and its hidden shallows ultimately frustrate its ambition.